Shaindel Antelis CD release concert! Hey! 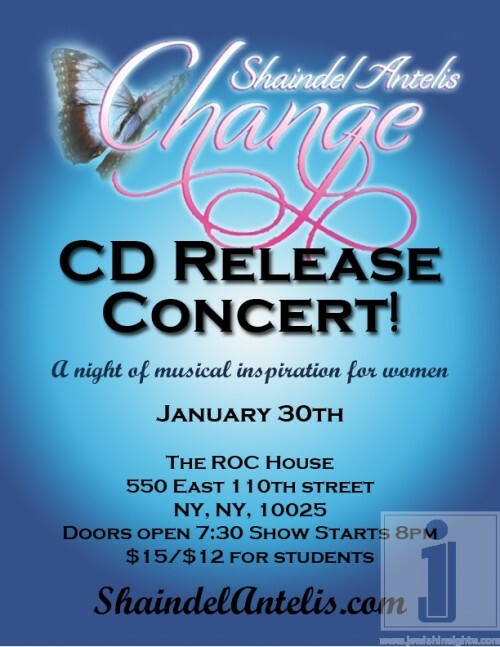 Shaindel Antelis would like to cordially invite you to her CD release party/ Womens Night Out! Get ready for a night of music, fun, and inspiration! Shaindel will I”H be performing songs off of my new new album “Change”! There will be amazing guest performers … such as Tanya Guterson from Pittsburgh , Rachel Jakob from brooklyn, and more ! $12 for students /$15 General Admission.